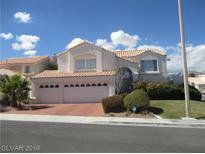 Find Summerlin, NV Foreclosures for sale. View Photos, Maps and MLS Data Now! Montaire Summerlin - Back yard offers covered patio, pool, spa and beautiful views! MLS#2088597. Easy Street Realty Las Vegas. Summerlin Village - Home Features, Huge Lot, Cul-de-sac Location, Beautiful Upgraded Flooring Throughout, Shutters, Quartz Counter Tops With Large Island, Tankless Water Heater, Nest Alarm & Thermostat System, Shutters, & Covered Patio. Excellent Value! MLS#2083280. Elite Realty. Pacific Homes At The Trails - This is an auction property and will be available for bidding soon. MLS#2081386. All Vegas Valley Realty. Red Rock Country Club - Master bathroom has his and her vanities and separate shower/tub, Nice size walk in closets. MLS#2081010. BHHS Nevada Properties. Castlewood At Summerlin - Seasoned landscaping with large back yard. MLS#2078516. Urban Nest Realty. Cherry Creek Summerlin - Clean. Barely lived in. Covered patio. MLS#2076120. Properties Plus Referral Netwo. Sun City Summerlin - This amazing Sun City Home features 2 bedrooms 2 bathrooms, A large livingroom with vaulted ceilings, A formal dining area, kitchen with breakfast nook, Master bedroom with en suite, Huge backyard with covered patio and much more. MLS#2075605. Realty Executives of SNV. 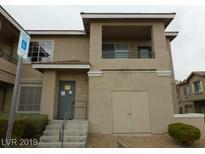 Sedona In The Pueblo Summerlin - Short Sale, "AS IS" condition no repairs. MLS#2074315. Realty ONE Group, Inc.
Sun Colony At Summerlin - Large spacious rooms, lots of upgrades, built in BBQ with covered patio. Priced to sell!. MLS#2074012. Keller Williams Southwest. Country Gardens At Summerlin - Well Appointed 1 Story Pulte Home In The Gardens At Summerlin, Located Near Downtown Summerlin, Peets Coffee And The 215.Featuring A Beach Entry, Sparkling Pool & Spa, Outdoor Kitchen, 10,000 Sqft Lot, Chefs Island Kitchen, Temperature Controlled Wine Room, Library, Den, Great Family Room Luxurious Master With On-suite Bedrooms, W 3 Baths...Original Owners, Pride Of Ownership Throughout MLS#2069756. Blue Diamond Realty LLC. Amber Hills At Summerlin - Low maintenance yard and close to schools, shopping, and more. MLS#2069722. Milestone Realty. Napa Hills - Your Buyers will Love this Lewis Home with open floorplan with lots of windows & vertical city and mountain views.2 master Bedrooms 1 upstairs & 1 downstairs with Loft/Family room upstairs & formal Living & Dining downstairs that opens up to the Kitchen with views of your entertaining rear yard with rock waterfall fountain for your outdoor parties. Vaulted ceiling.A must see MLS#2069011. West Coast Realty LLC. 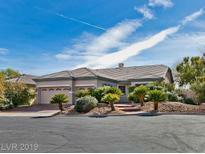 Sun City Las Vegas - Enjoy 4 community centers 3 golf courses, Retire in Style Owner says "SELL." !!!! ! MLS#2065623. Signature Real Estate Group. Napa Hills - Great Open Floor Plan And Located In A Great Neighborhood! MLS#2066966. Innovative Real Estate Strateg. Summertrail Summerlin Village - Very Spacious And Open Floor Plan! MLS#2066201. Innovative Real Estate Strateg. Summerlin Village - For a 4K virtual walkthrough search youTube by address. MLS#2064621. Urban Nest Realty. Tournament Hills Summerlin - Granite Counters, Built-in S/S Appl, 6 Burner Cktp, Dbl Islands, & Brkfst Bar*backyard Is An Entertainers Dream W/Built-in Bar/Bbq & Beach Entry Pool! MLS#2062994. Innovative Real Estate Strateg. Sierra Woods At Summerlin - Buyer is to verify schools, HOA, measurements and utilities. MLS#2062060. Hastings Brokerage Ltd.
Asbury Park Summerlin - Walking Distance to Downtown Summerlin* This Home Offers An Extended Drive Way, Can Accommodate 3 Vehicles* 2 Car Garage With Cabinets And Storage Space* Granite Countertops* Open, Spacious Floor-plan* Ceiling Fans Throughout* Hard Wood And Tile Flooring* Carpet In 2nd And 3rd Bedrooms* Balcony* Covered Front Porch* Private Built In Spa* Water Softener* Neighborhood Parks* Numerous Walking/Jogging Paths* MLS#2062042. BHHS Nevada Properties. Country Club Hills Summerlin - *phenomenal Home In Superior Summerlin Location*superb Curb Appeal*sweeping Staircase Greets You/Frml Living Room/Dining Room*sep. Family Room*stunning Brazilian Wood Flrs*chefs Kitchen W/Lots Of Room/Granite Cntrs/Islnd/Eai-in Dining Area/Walk-in Pantry/Upgrd Cabinets*sep. Family Is Super Sized W/Wet Bar*loft Up*oversized Mstr/Mstr Bthrm Has Make-up Table/Sept Shower/Jetted Tub*backyard Has Palms/Grassy Area And Lovely Pool/Spa And Cv Patio* MLS#2062102. Resolution Realty. 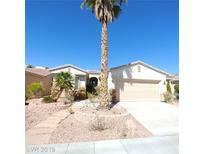 Sun City Las Vegas - Desert Vista community center and Highland Falls Golf Course are centrally located. All appliances are included. MLS#2060976. Innovative Real Estate Strateg. Summerlin Village - Kitchen Refrigerator, washer & dryer NOT included MLS#2060217. Coldwell Banker Premier. 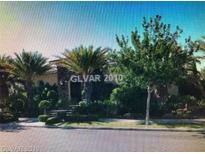 Summerlin Village - Buyer is to verify schools, HOA, measurements and utilities. MLS#2054748. Hastings Brokerage Ltd.